JoAnne W. Phares, 83, passed away on September 2, 2018 at 11:50 p.m., while residing at the Lynchburg Nursing Facility. She was the wife of 64 yrs to William J. Phares, Sr. (Bill) of Decherd, TN. Born in Moundville, AL, she was daughter of the late Ouida & Thomas Powers Weeks. She was a graduate from MTSU with a BS, Masters, and EDS. She was accomplished and beloved educator of 30 yrs at Clark Memorial Elementary teaching 3rd grade in Winchester, TN. She was a member of First Baptist Church in Winchester, TN. She enjoyed crafting, camping and spending time with family pets, a true fan of Alabama basketball. (Roll Tide). 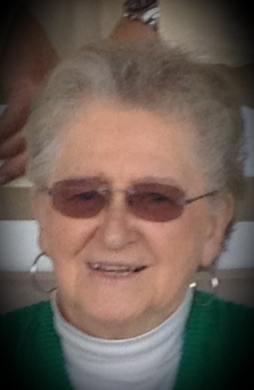 JoAnne loved her family dearly and enjoyed meeting new people, she was a true southern lady. JoAnne is survived by her husband, William J. Phares, SR. (Bill) of Decherd, TN. and two sons, William (Jerry) (Melanie) Phares Jr.of Winchester, TN , Richard (Todd) (Deborah) Phares of Monroe, GA; and deceased infant Thomas Phares. Grandchildren; Adria Ann (Clay) Ellenburg of Wicksburg, AL, William J. (Tripp) (Matlei) Phares lll, of Dothan, AL, Richard Todd Phares , Jr.(Rich) of Gulf Shores, AL; Robert Jackson Phares of Monroe, GA.; step grandchildren Jake Daniel Battle of Winchester, TN and Cole Brinkley Battle of Portland, OR. Five great granddaughters, Anslie, Abbie, Alexanne Ellenburg ; Makaela and Ella Phares. Brother, Thomas (Sonny Boy) and late Audry Weeks of Pelham, AL and half brother George (Ann) Weeks of Moundville, Al. Step Mother the late Grace Weeks and five nieces and nephews. Lifetime friend for over 50 yrs, Mrs. Nancy Brown. A private Memorial/ Graveside Service for family will be held on September 15th at 11:00 am, at Mt. Hebron Baptist Church in Akron, AL. Memorial donations/ in lieu of flowers may be made to the Mt Hebron Baptist Church, c/o George Weeks, 11 Weeks Road, Moundville, Al 35474.